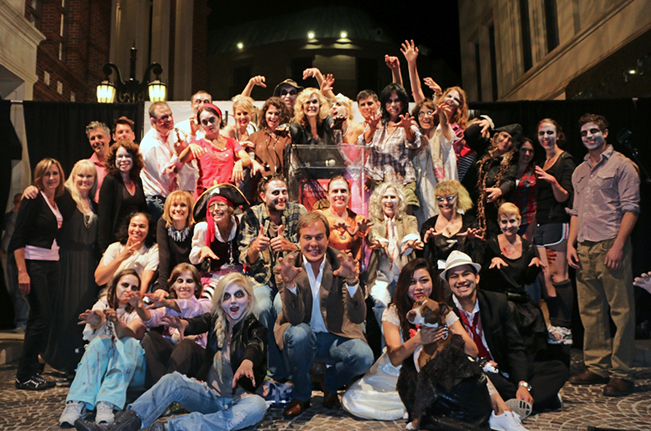 For the past 10 years, Two Rodeo Drive has partnered with the Amanda Foundation, a no kill pet rescue non-profit organization to hold their annual “Bow Wow Beverly Hills” Halloween Fundraising Event at Two Rodeo Drive. The annual themed Halloween party features a Halloween inspired cocktails, a doggy costume contest, casino games, hors d’oeuvres and more. All proceeds benefit the Amanda Foundation.